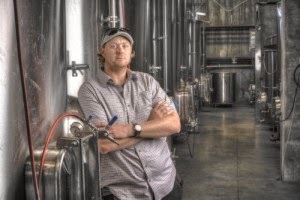 A trio of wines has just been released by Naramata’s Therapy Vineyards includes, as usual, winemaker Steve Latchford’s excellent winemaking notes. There is detail here not often revealed by other winemakers. I don’t think it is that most winemakers want to keep secrets, but merely that consumers and wine reviewers would not understand some of the technical details. Example: the Pinot Noir was fermented with “R2, Alpha and Indigenous yeast strains” and the malolactic fermentation was started with “SB3 Instant”. Among winemakers, those details are important. The various properties of different yeast strains can have a profound impact on the aroma and the flavour of the wine. The choices are incredibly complex. Just google Scott Laboratories and look through the near infinite list of yeasts. I take a lot of comfort, however, from the fact that Steve provides this esoteric information. It tells me he has a good handle on what he is doing in the winery. Steven Latchford was born in Ontario’s Prince Edward County in 1982, His work ethic was developed early on by working in the dairy industry and moving onto graphic arts and design. The wine industry allows Steve to still use his agriculture background by growing grapes and his artistic side by crafting unique wine blends. He started in the wine industry at the tender age of 18 when he enrolled at Niagara College Teaching Winery. Unable to legally drink at the time Steve patiently waited to finish his sensory classes when he was 19. Graduating in 2004 from the program Steve had already found winemaking, viticulture and sales employment from Vincor International in 2001 at Jackson Triggs. He also helped produce the first vintage of Le Clos Jordanne organic wines with Thomas Bachelor which were made at Jackson Triggs and worked along side Gerald Klose in Vincor’s sprawling vineyards for 2 summers helping foster the grape growing. Allowing him to watch the process from vineyard to winery to bottle. Working closely under Tom Seaver and Kristine Casey at Jackson Triggs Steve was able to build a foundation of winemaking knowledge and find his passion for oenology. Marco Piccoli took over as head winemaker at Jackson Triggs in 2005 and helped shepherd Steve’s creativity in Icewine and sparkling production. Steve and Marco are still close friends and stay in contact regularly. After leaving Niagara and Vincor in the summer of 2007 Steve was looking for a new challenge and found himself in the Okanagan Valley. Tasting his way through almost every winery in the valley, Steve ended up finding a home in August 2007 at Naramata’s Holman Lang group of wineries. He spent 14 months working closely with Bernhard Schirrmeister before being recruited to work at Therapy Vineyards. Since starting at Therapy Vineyards in 2009 Steve has been able to create wines that stayed true to Therapy’s original wine style as well as fostering in new labels including Bi-Polar Icewine, Fizzio-Therapy sparkling and a very highly successful Artist Series Riesling. Still being under 35 years of age has allowed Steve some different insight into the winemaking process and allows himself plenty of room for playing with blends, fermenting trials and production techniques. Steve looks forward to furthering Therapy’s brand into the future and producing many more highly awarded wines. Here are notes on the trio of releases. Therapy Vineyards Pinot Gris 2013 ($19.99 for 217 cases). Cool fermentation retained superbly aromatic aromas in this wine, including green apple and lime, leading to flavours of citrus and pear. The wine has good weight on the palate, with lingering fruit flavours on the persistent finish. There is a crisp mineral note on the finish. It is drinking well now but I agree with the winemaker’s suggestion that this might be aged a few years. There is a good argument that we drink our Pinot Gris wines too young. 89-90. Therapy Vineyards Freudian Sip 2013 ($17.99 for 1,100 cases). This is a blend of 43% Pinot Gris, 28% Riesling, 15% Sauvignon Blanc and 14% Kerner. The winemaking processes, including several hours of skin contact with a special enzyme, were all designed to capture the aromatics which these four varietals have in abundance. The wine begins with aromas of peach, melon and citrus, leading to flavours of green apple and lime. Good acidity balances the residual sweetness here. The wine has a long but zesty finish. 90. Therapy Vineyards Pinot Noir 2012 ($22.99 for 300 cases). This wine was made with grapes from three different Naramata vineyards, fermented separately and blended later. The fruit was given a five-day cold soak to extract colour and flavour and then fermented for two to three weeks. The wine was aged in a combination of new and used French oak. The wine begins with aromas of cherry, vanilla and cloves. On the palate, there are flavours of cherry and raspberry mingled with toasty oak and chocolate. Spicy on the finish, the wine has good concentration with a texture hinting at a future silkiness with more bottle age. 89.